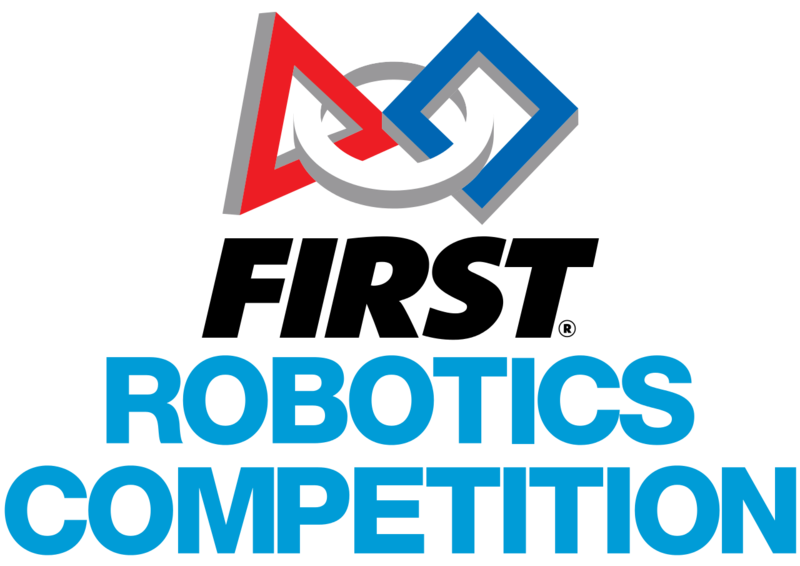 If you are interested in being on a Robotics FIRST FTC team, tryouts will be after school on June 1st, 2nd and 3rd. Please fill out this form if you are interested in trying out and Mr. Durham will send the try-outs schedule by the end of this week. Once try-outs are completed Mr. Durham will send out the official X-Machina registration to all new FTC applicants. As long as you register for X-Machina, whether you make any of the build-teams or not, you are part of the FRC program and will have opportunities to build robots throughout the year and during the FRC season. Hispanic Heritage Foundation scholarship opportunity up to $3000 for rising high school seniors class of 2017. Community Service: sponsored by Colgate Palmolive. Below you will find links with all the detailed information for this educational grant. Future Leaders in Planning (FLIP) is a leadership development opportunity where students can contribute to a better future for our region. Participants in this new program will learn more about the northeastern region and share their thoughts with other teens from Cook, DuPage, Kane, Kendall, Lake, McHenry, and Will counties. Participants will also meet and interact with selected regional leaders who make key planning decisions in our communities. Learn more in a video. Please share the 2016 Summer FLIP application with local high school students who would like to learn about planning and contribute to a better future for our region. Students can also apply on-line at http://tinyurl.com/FLIPSU16. Applications must be submitted, postmarked, or emailed by Friday, June 3, 2016.
attend NxtGen Tech Program in Summer 2016. Students will learn next generation technologies and tools and get a glimpse of the future of the Internet, computing, and the next wave of emerging technologies. Take one or all four of the week-long courses. Students learn to defend themselves against cyber attacks, cyber warfare, fraud, identity theft, privacy leaks, data breaches and other attacks vectors while using the Internet. They will learn to setup a secure network and safely navigate the web. Learn the dynamics of game development in the ever-expanding world of Minecraft. Start by learning Java™ fundamentals along with Minecraft tools and techniques. Once you’ve set the foundation, start building! Create and publish Minecraft mods; program new mods, items, and blocks in Java™; add new behavior to Minecraft with Java™ programming; use object-oriented programming concepts; and set up Minecraft servers via a LAN (Local Area Network). Students learn the basics of System Administration including, Desktop/Server Hardware, Operating Systems (Windows & Linux), Networking (Local Area Networks & Wireless) and IT Security. Coursework will cover installation, configuring, upkeep, activation of accounts, security controls, routers and switchers, and monitoring of network performance. Courses meet from 9:00 AM to 4:00 PM. Registration and availability are on a first-come basis. All programs take place at Illinois Institute of Technology in Chicago or Wheaton and are led by IIT faculty members or staff with assistance from select IIT students. 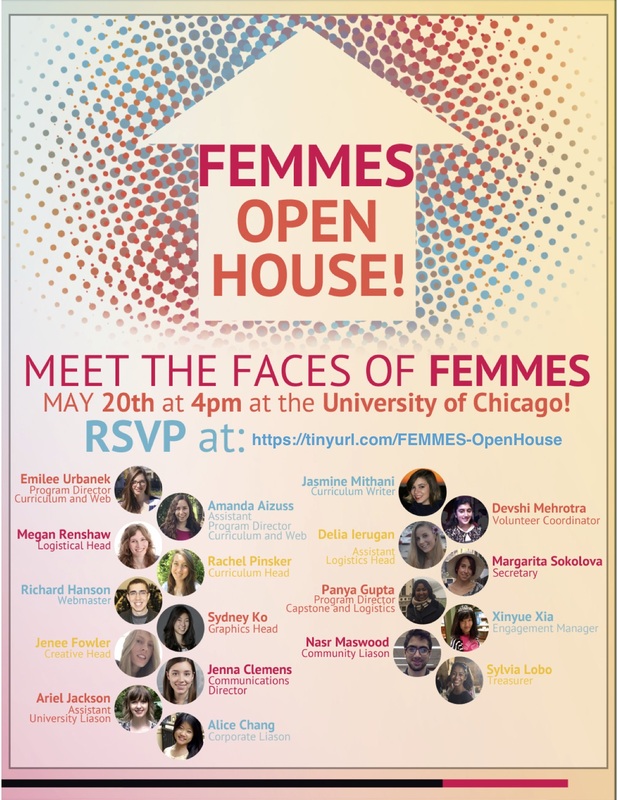 The University of Chicago Females Excelling More in Math, Engineering, and Science (FEMMES) is delighted to invite you to our second annual Open House on May 20th! At the Open House, you will be able to meet the board, learn about our events, and ask questions about our organization or STEM opportunities in general. Refreshments will be served. Please RSVP here if you plan on attending. Where: Social Science Quad (1126 East 59th Street Chicago, IL 60637). The quad is located directly North of the Social Science Research Building. Please come to the CS Education day on 5/11. – Fisler, "On Planning and Programming Languages"
– Horswill, "What do we teach when we teach computer science?" Join Northern Illinois University’s (NIU) student organization Tech Bark as they host Hack for Change on June 4th, 2016 at the Holmes Student Center at NIU’s campus in DeKalb. Register Now! Northern Illinois University and its student organization, Tech Bark, is the only nationally recognized University Brigade in Code for America. As part of Code for America, Tech Bark and NIU can leverage coding resources and experience of experts involved in civic hacking throughout the USA. This year, Code for America has prepared several Brigade Challenges that we’d love help on. These challenges are related to getting a better idea of what digital government services are like and how they differ across the country. Help us make it easier for residents to get the help they need to buy food. Affordable housing is important, but not easy to apply for – let’s see how we can improve the process. Starting a business means new jobs and better neighborhoods. Let’s see how hard it is to do that and improve it. Not sure you want to work on these issues? No Problem! Begin with a problem close to your heart and see what you can do to make it better! Join community members, local students from DeKalb County area middle and high schools, along with NIU and other college students to Hack for Change! No experience is necessary, simply bring your desire to participate, innovate, and hack for solutions that bring about positive Change! Brigades are volunteer groups who partner with local governments and community organizations to address local civic issues. The private sector has evolved exponentially over the past decade adopting new technologies and new ways of working, however, local governments have fallen behind. Brigades apply 21st Century Government Principles to important local problems. Brigades approach local challenges in partnership with government using iterative, data-driven, user-centered approaches. It’s not always about an app; it’s about partnering with governments to work on principles of 21st century government that build key capabilities, exciting local citizens to get involved in their government, and showing what’s possible with those connections and meaningful collaboration towards human impact. The Brigade program provides a framework for organizing a network of people who are interested in raising their hands to use their skills for good, increase civic engagement and improve their communities. Register to attend this FREE event today! For graduating HS seniors going into CS, Google offers the CSSI summer institute in many offices, including Chicago. During the school year, they run Code-In for participating in open source projects. They are also piloting CS Edge in our larger offices. Google also has online courses and activities as well. Do yourself a favor and follow Google Students and Google Education twitter, youtube, facebook, and G+ channels to see announcements for applications, deadlines, and more. The Astro-Science Workshop (ASW) at the Adler Planetarium is a fun, intensive program about space exploration designed for high school students in the Chicago area. ASW began more than 50 years ago during the space race and Apollo program and counts numerous scientists, engineers, business leaders and a former NASA astronaut as alumni. ASW encourages participants to consider pursuing careers in science by offering the unique opportunity to work with astronomers, engineers, and educators at the Adler Planetarium. This year’s program will focus on hands-on opportunities related to telescope observing, light pollution, and high-altitude ballooning. *There will be at least one field trip during the program. Transportation to/from the field trip location will be provided by the Adler Planetarium. The field trip will be from 8:00 am to 6:00 pm and is tentatively scheduled for August 25. Note that there are 2 steps to apply… fill out the form AND have a teacher send a letter of recommendation. All that is on the website & in the form.